(Music Pro Guide Books & DVDs). 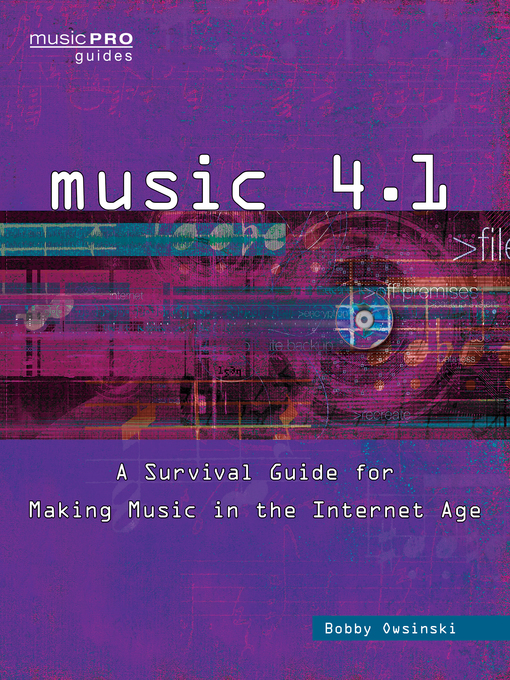 Today's music industry is constantly changing at a dizzying pace, and this Music 4.1: A Survival Guide for Making Music in the Internet Age is fully equipped to help you navigate it. Written for artists overwhelmed by the seemingly endless options of the quickly evolving Internet, this is the only book that offers a comprehensive strategy for online success. In Music 4.1 , Bobby Owsinski includes an in-depth look at the economics of streaming music, with the real information about royalties that distributors and record labels don't want you to know and that simply can't be found anywhere else. The book also looks at how revenue is generated from YouTube and other video streaming services, and it provides techniques for optimizing both videos and channels for maximum success. Also included are lists of effective tips (both high- and low-tech) and checklists with every chapter, as well as a reference list of online tools for inexpensive music and merchandise distribution, sales, marketing, and promotion. With fresh interviews from several of today's successful music industry innovators, Music 4.1 reveals new and proven pathways to success in the new paradigm of the modern music world.